I value the knowledgeable community at my fingertips. Earlier in the week I wrote about the power of community and how it had the impact to change a girl’s life. The strength of an active and engaged community is invaluable. Whether it is for serious life changing impact, or small trivial problem solving. The other day I was once again reminded of how much I have come to rely on the advice and opinions of my twitter pals. I had a problem. 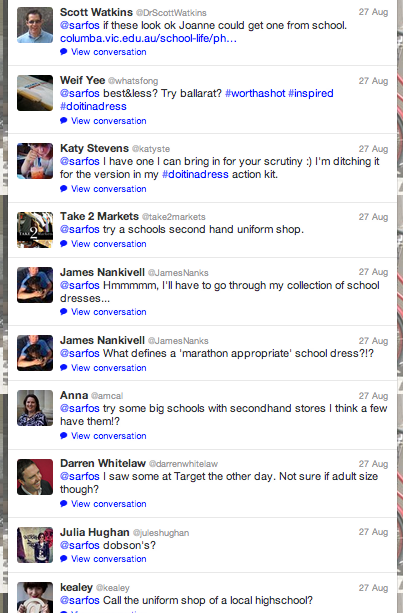 I needed to find a marathon friendly school dress. After a fruitless weekend searching Dimmies, Target and numerous op-shops I felt deflated. So I posted it on twitter. So many genuine offers of advice and assistance. It was amazing. An engaged community, ready and willing to share their knowledge. So why doesn’t everyone see this value? Everyday I still have the same conversation with people about the value of social media and in particular twitter. Why would I want to know what everyone had for lunch? As many of us know, this does not define twitter or the reason that the majority of people on there now use it as their number one news, information and knowledge source. You have direct access to politicians, journalists, athletes, chefs, specialists of all and any fields. It is real and real-time. And as I experience every day it is a valuable and wise community. One that is even willing to help me locate my perfect marathon dress. Awesome. Without twitter to connect us this level of open communication and knowledge sharing would not be possible. Many minds are always better than one. I did end up finding my school dress. The lovely guys over at One Girl actually sell Action Kits this year – which Chantelle shared with me… on twitter. The dress still needs to go through my sewing machine and hopefully come out the other side fitting perfectly with no ability to chafe. But I am almost all set. Thanks to the responsiveness of my valuable online community. Commitment, community & generosity change a girl’s life. And all in one week. On Monday this week I handed in an essay for my Masters. The topic was on the importance of gender and the education of women in development. 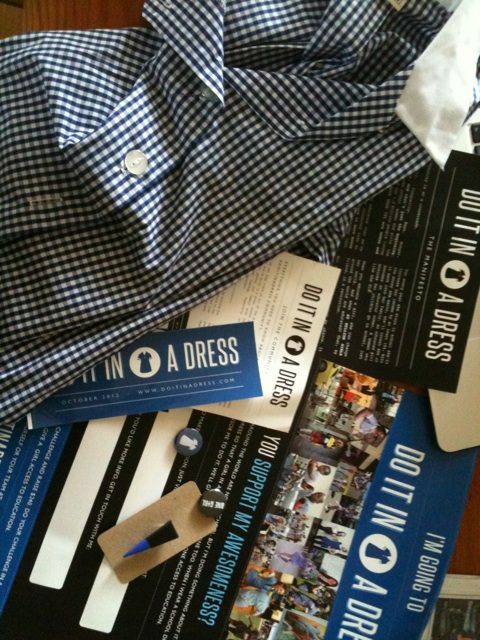 On Tuesday a friend of mine asked me to participate in One Girl’s campaign, Do It In A Dress. On Wednesday I committed to running the Sydney Marathon in a school dress (on my 30th Birthday). On Thursday my lovely family and friends had donated enough money to send one girl to school in Sierra Leone. Today is Friday, and I am feeling rather overwhelmed about how much can be achieved in one week. Commitment, community and generosity is amazing. I love to read books. I love to write blogs. I love to run. I love being empowered to make the decisions that affect my life. And I am about to turn 30. For my birthday I don’t want presents or champagne. Instead, I am running a marathon in a school dress and asking all my mates to give $10 to help send girls to school in Sierra Leone. 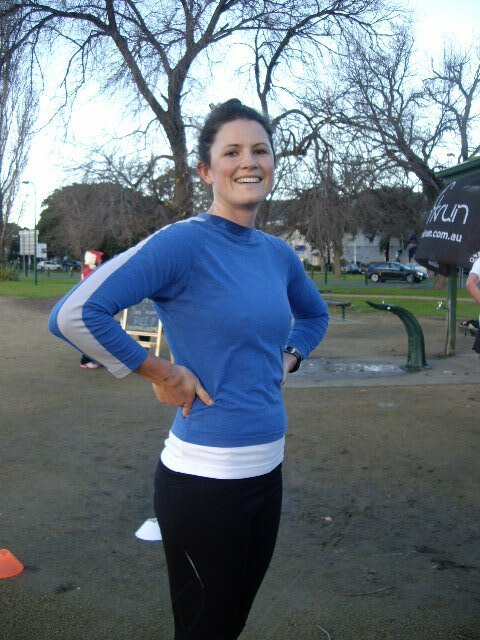 I am running the Sydney Marathon on September 16th – which happens to also be my 30th Birthday. I want to turn 30, being fit, healthy and in control of my life. Things which would not have been possible without a good education. Knowledge and education change the world and no-one should miss out on this. By wearing a school dress for the Sydney Marathon I am going to help give girls in Sierra Leone an education. The school days are never over, and for girls in Africa it has only just begun. I am going to turn 30, being hot, sweaty, red-faced and thanks to an awesome community, being proud to have helped share the joy of education with deserving girls. If a woman is educated, she is empowered to participate in political discussion, family decision making and be an active citizen in society. In Sierra Leone a girl is more likely to be sexually assaulted than go to school. Education can break the cycle of poverty and give a young girl the opportunity to take control of her life. I figure that is worth wearing a school dress for and if I need to run a marathon in it so that people take notice of me, then I can do that to. It’s a challenge but one that I am up for. You can check out my profile page and if you have to feel like supporting me you can do that over here too. Thanks! Has our accessibility made just ‘dropping in’ unacceptable? I was chatting with a friend of mine the other day and we were talking about community spirit and friendship. Not the online community type but the real life, borrow a cup of sugar, walk straight through the front door type. He said that real community comes when people just drop in unannounced. I think it’s true. And these days it is rare. It’s so easy to find out if someone is home that you don’t need to go and knock on the door. People, and their locations are so accessible. You can see their foursquare, their path or even just call their mobile. You don’t need to waste time going over to someones house with the risk that they might not be there. At the same time, I find myself not just ‘popping in’ if I happen to be going by. This whole accessibility thing has made me feel like I should always check first… because I always can. That the unannounced drop-in is almost no longer acceptable. This is sad. There is something unique in the sincere friendship of the unannounced drop in. That you know the person on the other side of the door will welcome you – even if you have caught them in the middle of cleaning the shower, watching a movie, or drinking alone. You get people as they were. Going about their daily activities behind closed doors. That’s community spirit. Being able to trust the unpredictability of friendship. The online version is much more predictable and measured. I like unpredictability and so I am going to work to add the unannounced drop-in back into my life and not left it fall off the IRL radar. What do you think? Is the unannounced drop-in still acceptable?